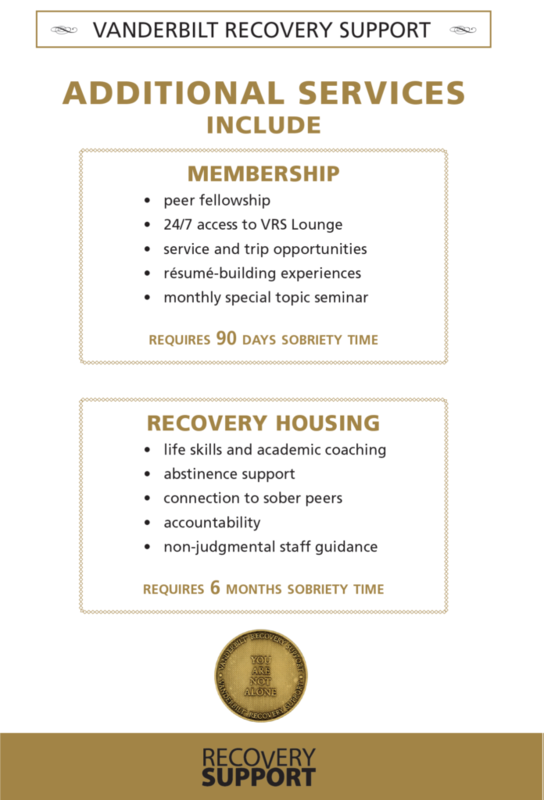 Vanderbilt Recovery Support (VRS) Collegiate Recovery Program provides caring and encouraging support services to assist students who are in recovery from substance use issues and who are working towards success in their academic, social, personal, and professional lives. Parking Information: Pay parking is available on the second floor of the 25th Avenue garage along with metered parking spots on 24th Avenue. The parking to the side of the Center for Student Wellbeing belongs to the Student Health Center and is not available for use. Parking Information: Pay parking is available on the second floor of the 25th Avenue garage along with metered parking spots on 24th Avenue. Metered parking is also available on West End. The Center for Student Wellbeing works to promote, develop and support opportunities for students to enhance existing knowledge and skills necessary to make healthy choices regarding their lifestyle including alcohol and other drugs. Please explore the information below.